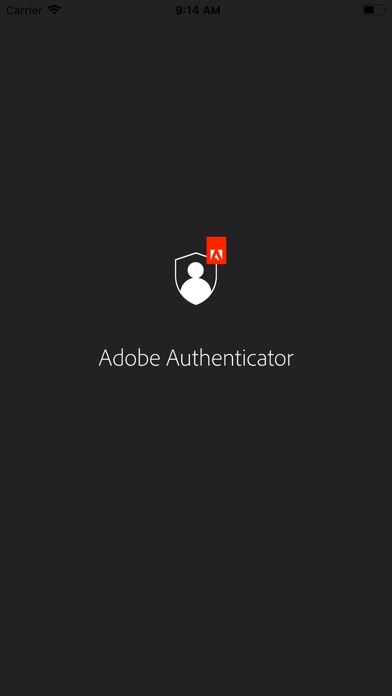 Adobe Authenticator enhances the security of your Adobe account by enabling 2 Factor Authentication through push notifications and verification codes. Why? Because if someone wants access to your account, then finding out the password won’t be enough. 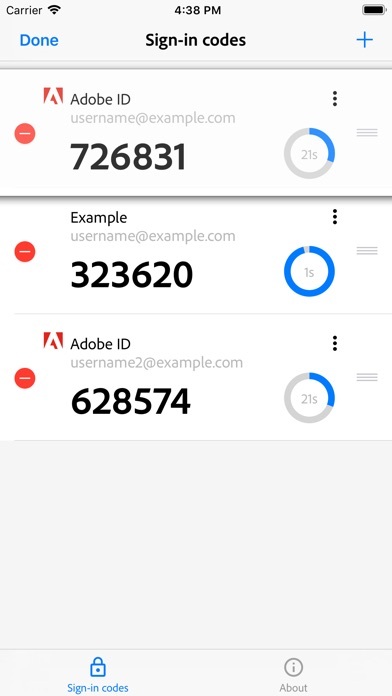 As its name says, 2 Factor Authentication adds an extra layer of security by requiring you not only to enter your password but also to respond to a push notification sent on your phone or, alternatively, type in the verification code generated by the app. 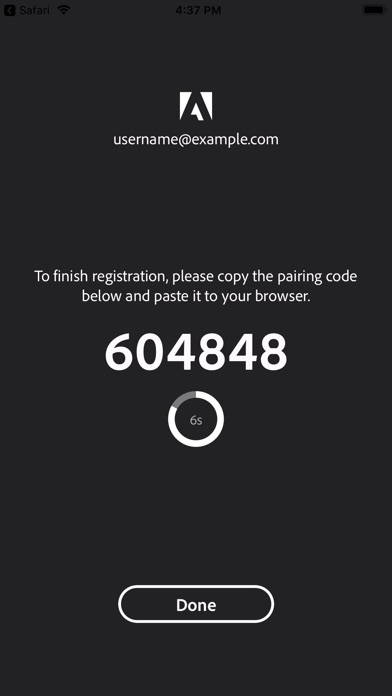 Moreover, it is compatible with your Apple Watch, so you won’t even have to open your phone. 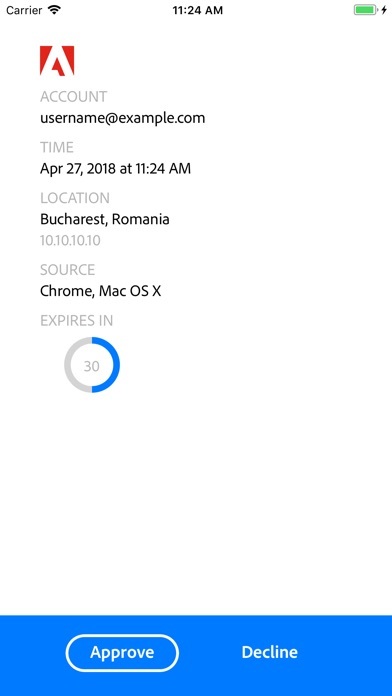 Secure in just one tap! 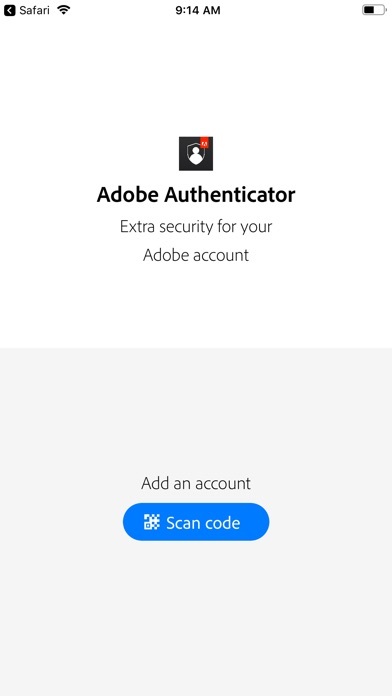 Features: - easy sign up by scanning a qr code or opening an otpauth uri - easy sign in by responding to push notification - verification codes generation without data connection - manage 2 Factor Authentication for multiple accounts on a single device - support for Apple Watch In order to enable 2 Factor Authentication and set up your Adobe Authenticator go to https://account.adobe.com. 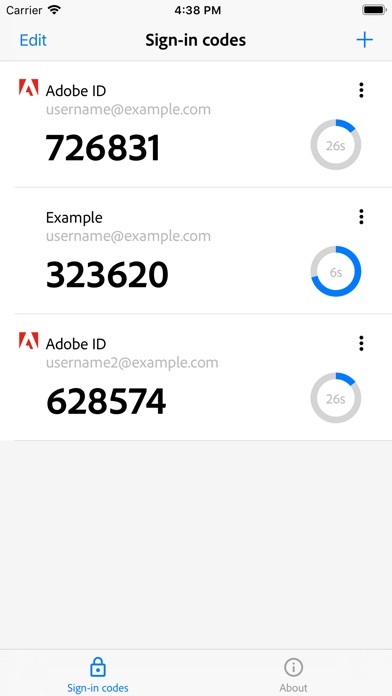 On iOS 12.1 Beta, Adobe 2FA only allows you to add one account for axis of a soft token. 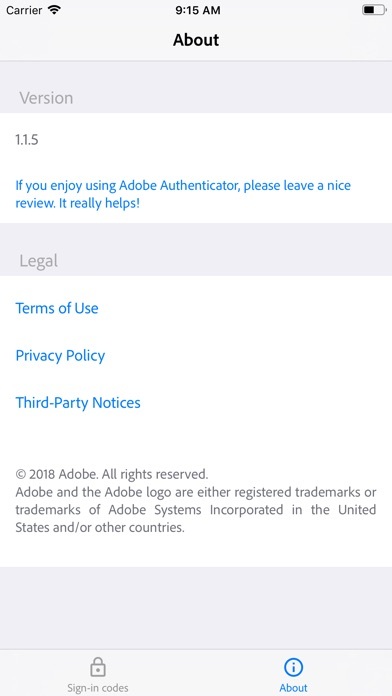 As an adobe partner, I have three accounts and two of them I have to use a third-party authenticator.